Join me for a creative and festive workshop and learn to make a winter wreath for your home. I'll teach you how to make a foam free wreath and supply you with a mix of seasonal foliage, berries, dried flowers and ribbon, so you can create something beautiful and unique. 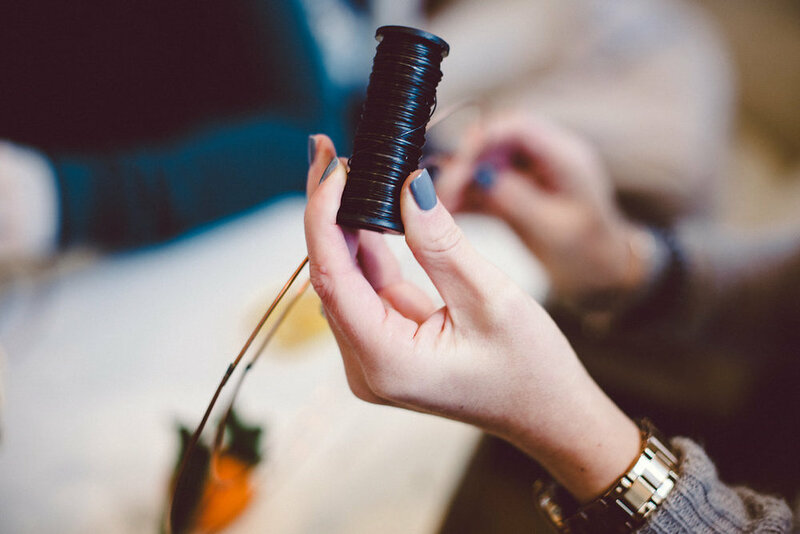 We’ll be bringing new textures, colours and ideas to traditional themes. Price per person is £35 which includes all materials and refreshments. 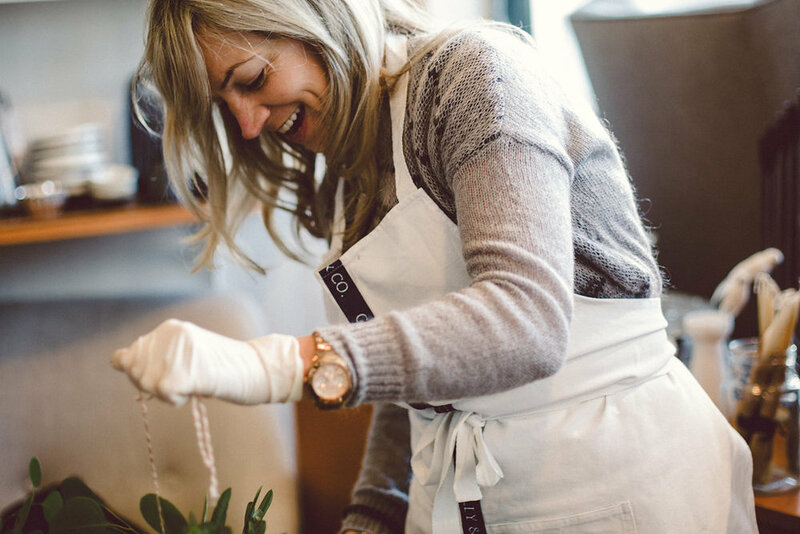 If you would like to get in touch about these workshops please contact me on roberta@thegoodflorist.co.uk or call 01363 877367. I will be bringing out a new programme in 2019 including DIY wedding flowers, seasonal workshops and an in depth career change course. If you would like to be notified when the classes launch, please sign up here. A busy year, happily full with weddings and ending with a December packed with five wreath making workshops - here are some photos from one. Read more on my blog check out my blog The Longest Night. Join me for a relaxed and cosy evening and learn to make a winter wreath for your home. 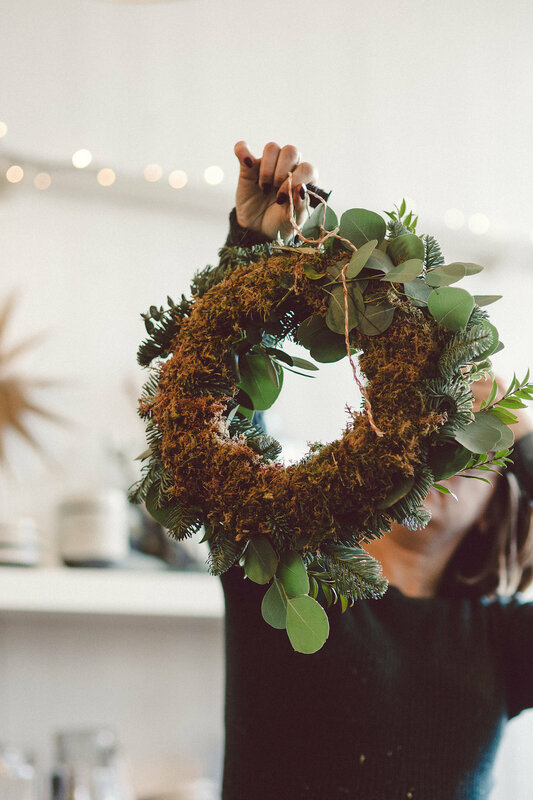 I'll teach you how to make a traditional moss wreath and supply you with a mix of seasonal foliage, berries, dried flowers and ribbon, so you can create something unique - you'll never want to or have to buy one again. 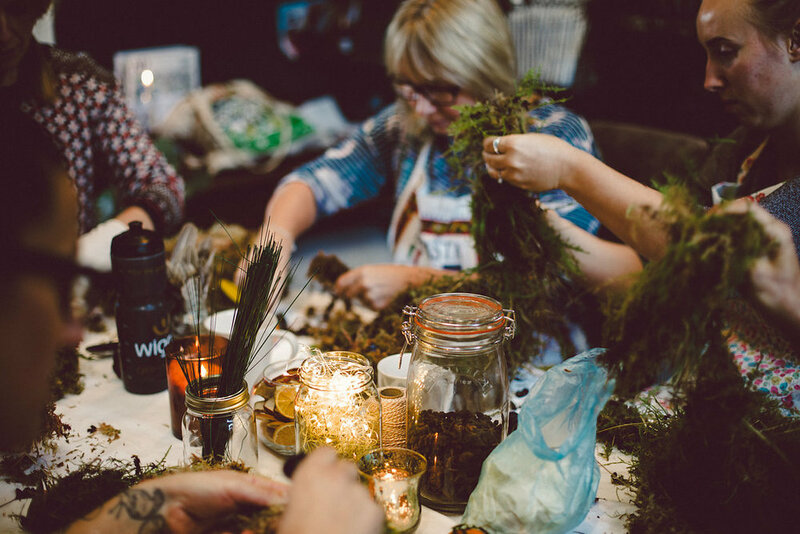 I look forward to hosting these workshops every year - the cafe at Wilderness Woods is such a magical place, and it's lovely to see everyone unwind and get into the festive spirit. 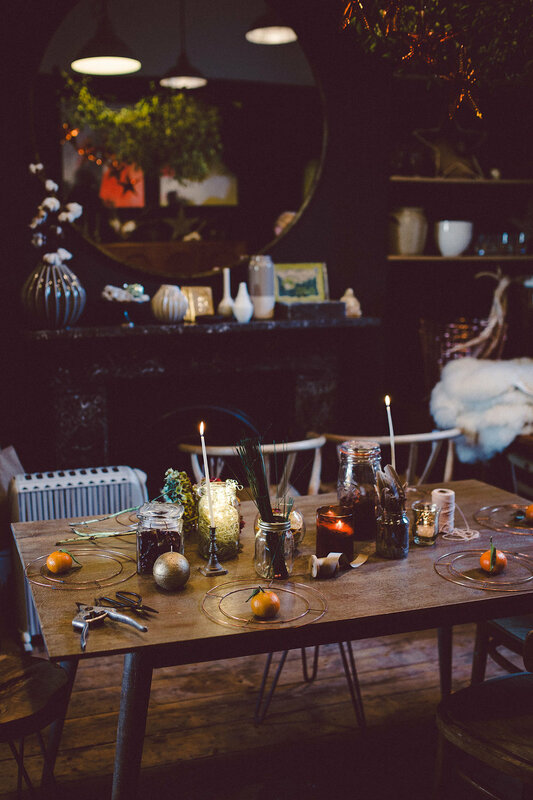 Price per person is £35 which includes all materials, a glass of mulled wine and mince pies. 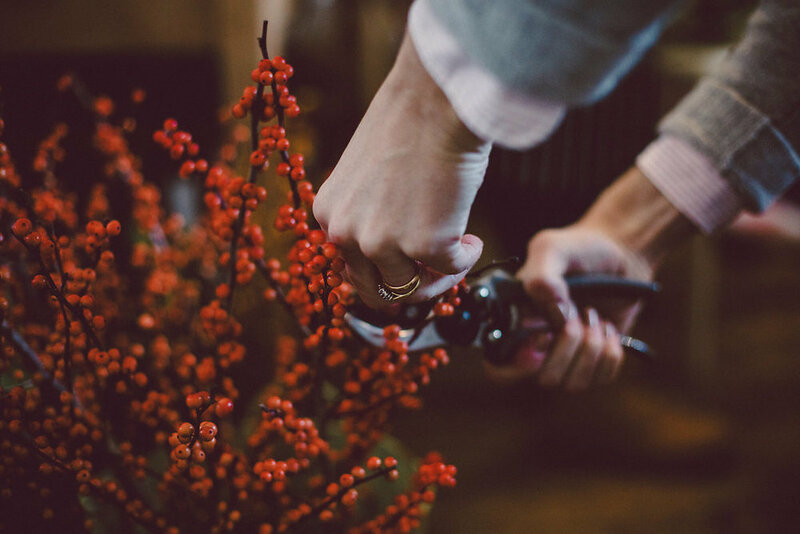 If you would like to host a wreath making workshop at your home, for a group of friends, please get in touch.